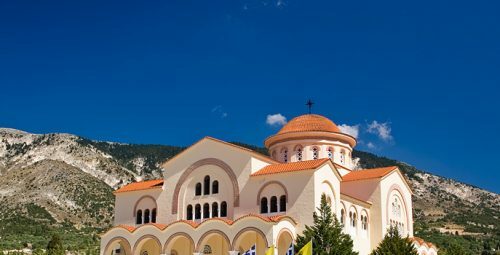 Kefalonia island has so much to offer that it could never be possible to be explored not only in one day, but even in several days’ period. 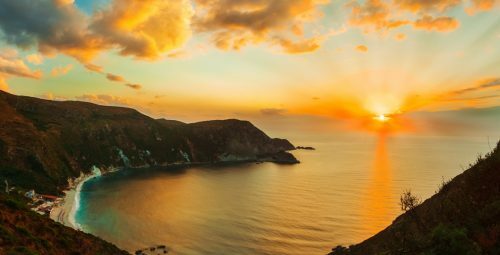 Whether you want to rest on the fabulous beaches or get on an adventure, follow our steps and explore the highlights of Kefalonia! 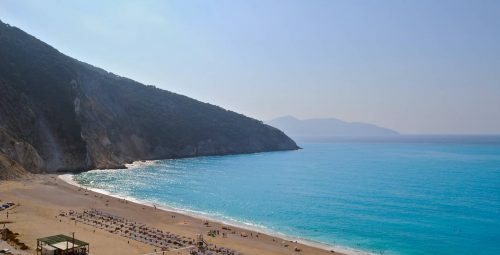 Myrtos is the most famous and beautiful beach of Kefalonia. 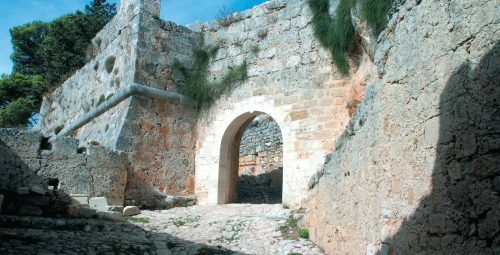 It is actually a large coast with turqoise water and white sand, surrounded by steep cliffs. 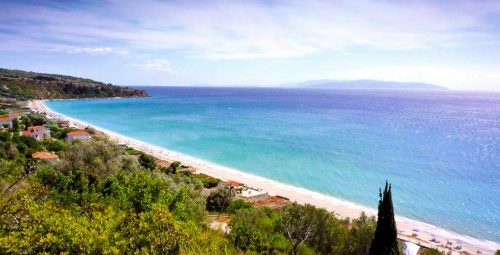 Makris Gialos is a very beautiful and popular sandy beach in close distance to Argostoli, the capital of Kefalonia, and the busy tourist resort of Lassi. It has golden sand and many watersports centres around the beach. 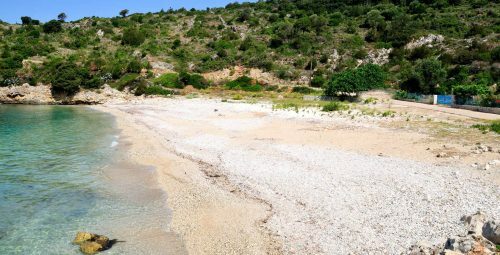 Skala sandy Beach is 37 km south east of Argostoli The fishing village of Skala hosts a large, sandy beach within a walking distance from its port. Organized and clean, this is a lovely spot for family vacations. 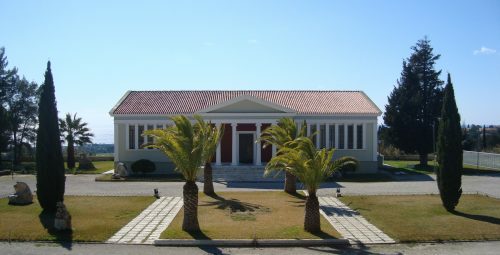 The area of Lourdata is a calm beach resort on the southern side of Kefalonia. 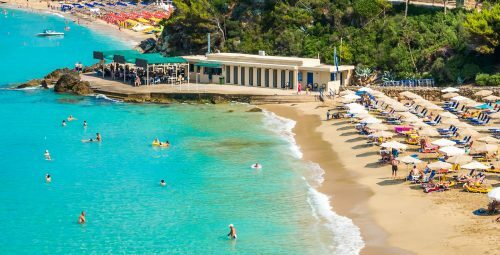 The beach has white sand and it is organized with umbrellas and sun beds. 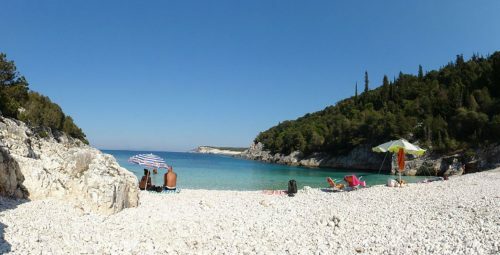 The Foki Beach is just next to Fiskardo. 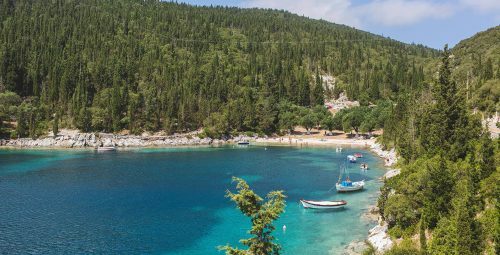 Foki is a small beach with large stones and crystal water .Many trees cover the beach and offer a good shade. The name comes from the frequent appearance of the monk seal (Fokia in Greek) Monachus Monachus. 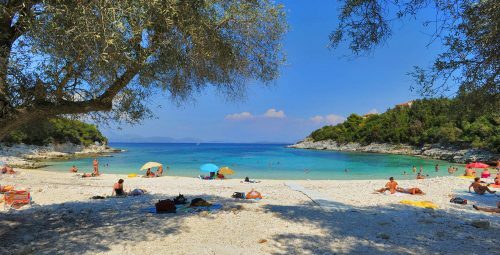 Platis Gialos is one of the most popular beaches on the island, close to the capital village and the busy resort of Lassi. 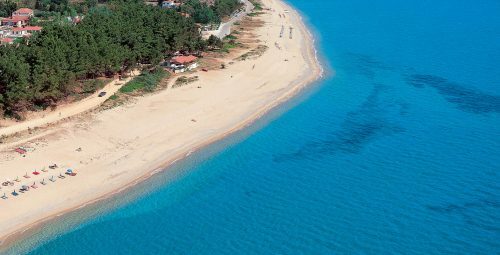 It has golden sand and many watersports centres. 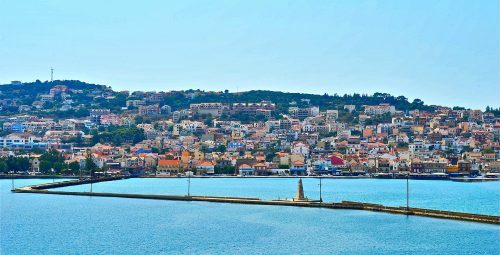 40 km west of Argostoli and 10 km south of Lixouri Description: Xi is one of the most beautiful and popular beaches of Kefalonia. 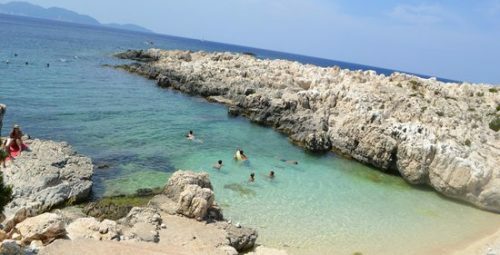 It is very large, sandy and organized with umbrellas and sun beds. 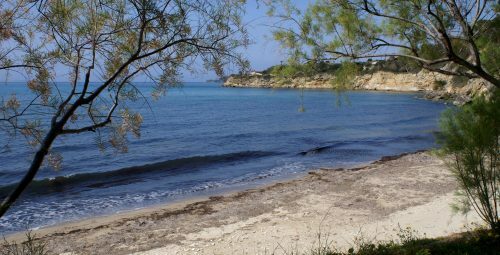 Trapezaki is a small beach with calm ambience. 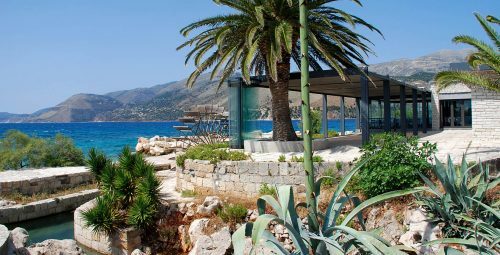 It is organized and close to the beach resorts of Lourdata and Pesada. 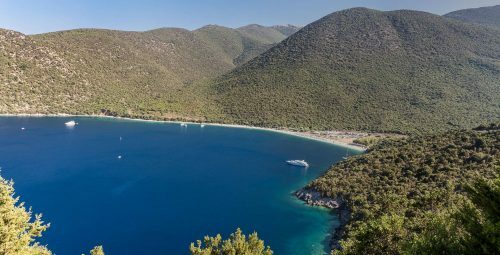 Beautiful bay, ideal for snorkelling about 20 minute walk but up and down hill. About 15 minutes by car from Fiscardo this tiny but interesting beach is well worth a visit.